Clarion Communications : Fab or Farcical? 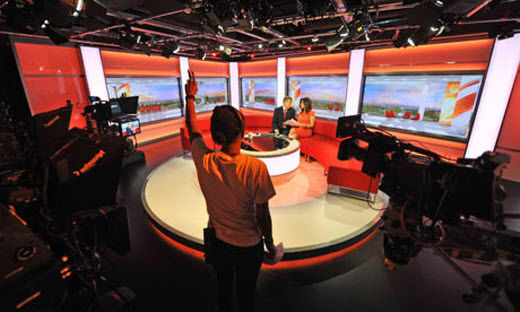 So since mid-April, BBC Breakfast has been broadcasting from MediaCityUK in Salford. BBC Children’s, Sport and Radio 5 Live are also - or soon will be - at the shiny new offices, which along with other departments will bring numbers of BBC staff at the site to a massive 2,300. This has caused no end of comment and not a little argument: the lovely Sian Williams, among others, refused to join her fellow BBC Breakfast presenters in the great move north. Stephen Fry has vigorously criticised the whole move as ‘farcical’, and Jeremy Clarkson said he’d rather quit than relocate. At the same time, culture secretary Jeremy Hunt is a massive supporter, criticising the media in general for being too London-centric. And not so long ago we had the damning report from the BBC Trust which slammed the corporation for failing licence fee payers by reporting the news through a London-centric prism. There’s a real edginess around the whole topic, and a real whiff of defensive regionalism; commentators who hate London because they think it takes over the UK agenda, and commentators who hate BBC Salford as a pandering move. Time for calm I think. We don’t need bias for London, Manchester or any other city or region of the UK. We just want fair representation of all parts of the country plus a fair reporting of the news wherever it happens.